Can I let you in on a secret? I have a girl crush on Cyndi O’Meara from Changing Habits! A couple of years ago I was training for a 30km running event. It was my longest event to date and a two hour run was on my program. I don’t normally run with earphones because they annoy me, but running for two hours seemed too difficult so I thought I’d try to run listening to something. So I loaded up some podcasts (4 x 30 minute podcasts from The Wellness Guys) and away I went. 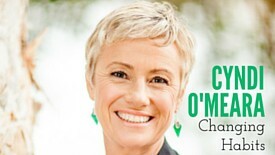 The first podcast was an interview with Cyndi O’Meara. Within the first 1.5 km of my run I wanted to turn back, run home and do some research on this Cyndi person. I had never heard of her before but she was preaching real food. Food made with real ingredients. Food made with ingredients that didn’t come in packages. I loved her realness, I loved her philosophy and I wanted to find out more. Now, I’m the first to admit that I don’t agree with everything Cyndi says. She loves her bone broths and eating meat, eggs and dairy. I don’t blindly follow everything she says. I have clarity on what I agree with and what I don’t agree with. I love that her approach is all about eating real food. It’s all about getting the freshest ingredients. Getting the least processed ingredients and putting them together to create meals. Getting ingredients that have the least amount of manipulation and chemicals. 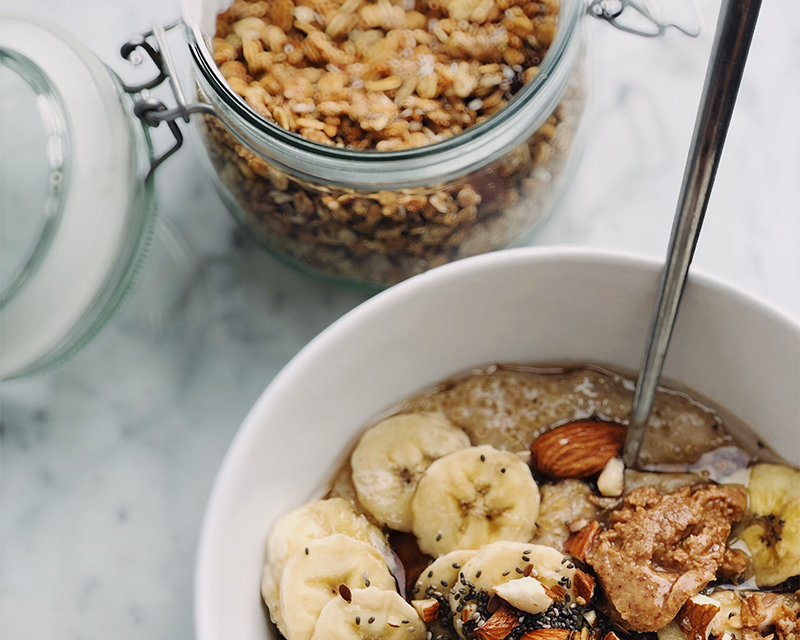 It’s these ingredients that are truly providing the best options for our bodies. If we can remove the toxins as much as possible, we are providing true nourishment to our bodies and doing the best we can. If I was blindly following Cyndi then I’d be eating meat and bone broths. But I can see what she believes in and how it aligns with what I believe in. I can take everything she says and analyse it and take out the animals, replace it with healthy alternatives, and still be eating good, healthy food. 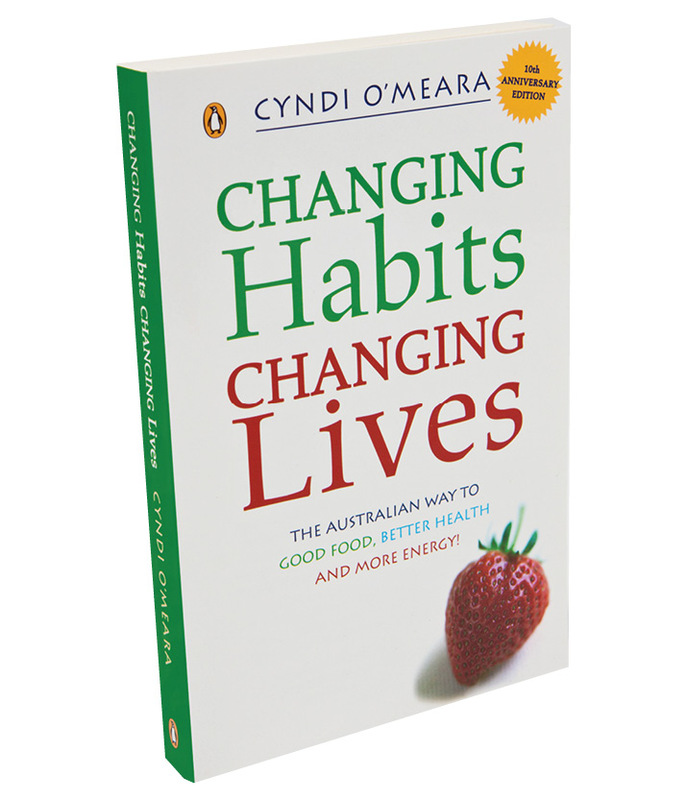 So I eventually ran home (two hours later) and found out everything I could about Cyndi and bought her book – Changing Habits Home Page. The book is set out in such a way that it’s it not overwhelming. It’s not suggesting that you change everything about your life today. Change one habit at a time and take as long as you need for each habit. Work on it, fit it into your lifestyle until it becomes something you do without question. Something you do without thinking. A habit. And then work on the next one. I subscribed to Cyndi’s newsletter, I subscribed to her podcast and I investigated everything I could about her and her push to help people change single habits to change their lives. Fast forward a few years and I have listened to every podcast that Cyndi has done with Kim Morrison and Carron Smith, on a podcast called Up for a Chat. The podcast reflects the name. It’s 3 women chatting, like you or I would at home with our friends. Sometimes it is just the three of them having a chat, other times they have the most amazing guests. Guests who extend my thinking. Sometimes similar to Cyndi, sometimes a little different. But similar and different enough that they challenge my beliefs. Make me question what I believe and why I believe it. Make me question why I act and think like I do. And make me understand my own thoughts and actions a little more. Who are your role models? Who do you look up to for advice and understanding around the maze of food information out there? I’d love to hear who your role models are. Who you listen to or read about. And how they are influencing your life. Check out Cyndi’s Nutrition Course http://changinghabitseducation.com/july-2016-intake. Leave a comment below. I’m always looking for new people to follow.